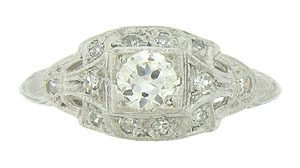 A luminous .26 carat, H color, Si1 clarity round cut diamond glows from the center of this exceptional antique platinum engagement ring. 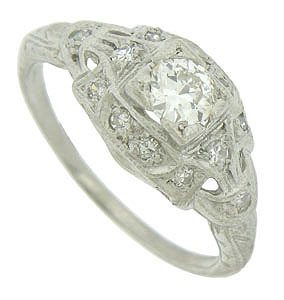 Exceptional cutwork, engraving and fine faceted diamonds adorn the surface of this Art Deco ring. 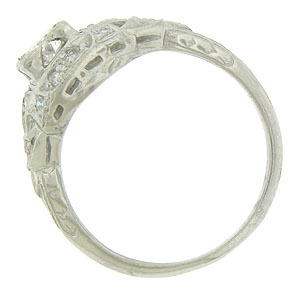 The ring measures 8 mm in width. Circa: 1920. Size 5 3/4. We can re-size.